STARCASTLE – FOUNTAINS OF LIGHT: Escape From The Valley Of Yes – Schlockmania! The release of the first Starcastle album was a double-edged sword for this talented group. It got them noticed and helped them in getting more and better gigs outside their heartland-America touring base. Unfortunately, this album was roundly criticized by prog fans and critics alike for borrowing too heavily from the sound and style of Yes. This “Yes-clone” stigma would follow them throughout their short career but the snob’s loss is the cultist’s gain in this case: the group would go on to record further albums, including two that remain popular cult items with fans of prog and pomp/AOR sounds. The first of these follow-up cult classics was Fountains Of Light, an energetic and complex piece of work that found the group growing beyond the Yes influence that so heavily marked their debut outing. The first thing that you notice about this album is how powerful it sounds. In contrast to the straightforward, effects-free approach the debut release, Fountains Of Light comes barreling out of the gate with a grandiose hi-fi sound. 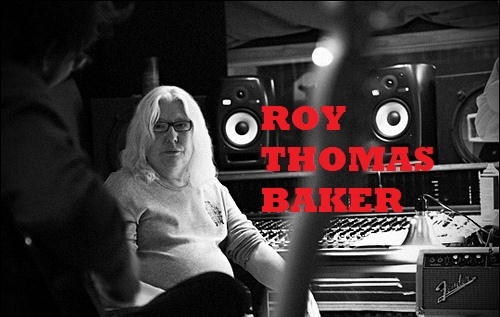 This new barnstorming sonic approach was masterminded by Roy Thomas Baker, a legendary record producer whose resume includes Queen, The Cars and Journey: the keyboards and twin-guitar harmonies soar, the rhythm section has a high-tech bombast and the vocal harmonies are thickly stacked a la Queen. The end result is as grandiose as the group’s approach to instrumentation, making this sonic marriage a beautiful one. The music also has a new-found maturity to it. 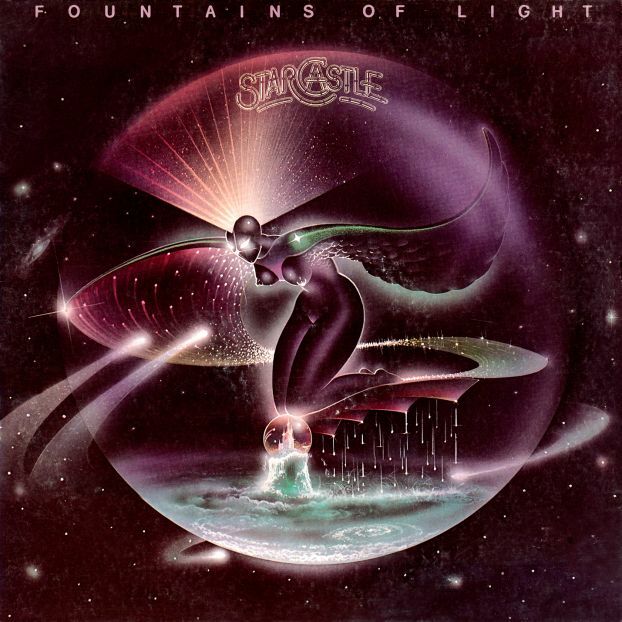 Like the debut, Fountains Of Light opens with a ten-minute epic in the form of “Fountains.” However, its approach to the prog epic is more ambitious and shows greater compositional savvy: it starts off with a suitably grandiose instrumental motif that is brought back in a cyclical fashion as the song navigates its way through a variety of moods and textures. There is also a rousing chorus that gives the listener an anchor to hold onto amidst all the instrumental fireworks. The end result is as showy as you’d expect from a 1970’s prog epic, but it’s also disciplined and tightly arranged, with every flourish and tempo shift supporting the whole of the piece beautifully. 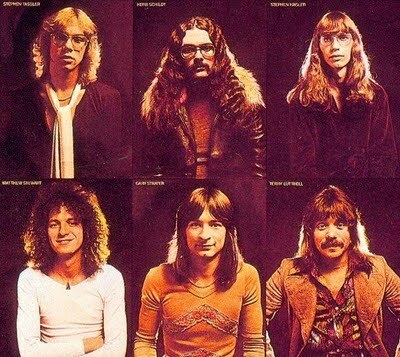 “Fountains” also shows the group stepping outside the Yes influences: vocalist Terry Luttrell still subscribes to the Jon Anderson School of Airy-Elfin Vocalizing and Gary Strater’s bass work is Squire-trebly but the dual-guitar section charts its own path and Herb Schildt’s sophisticated use of programmed synths takes things into a more pomp-rock direction. Speaking of pomp, Fountains Of Light is also noteworthy in Starcastle’s history for pointing the band in its eventual pomp-rock future. 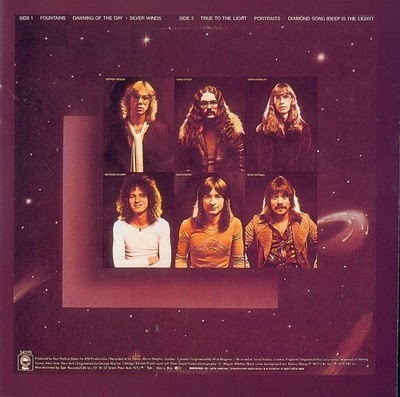 Like Kansas, the group always had a unique fusion of melodic complexity and arena-friendly b ombast going for it and this album finds them starting to explore the more accessible end of that spectrum. For example, “Dawning Of The Day” harnesses the band’s complexity to support a gentle, folky melody highlight by a singalong chorus (there are some great vocal-round harmonies used to flesh it out as the song progresses). Another effective step in this direction is “Diamond Song (True To The Light),” which marries the group’s prog energy to a song with a driving radio-rock melody and another strong sing-along chorus. Another cut worthy of special mention is “Portraits.” This gem allows Starcastle to give vent to an influence that is less often acknowledge in their work: namely, Crosby Stills & Nash-styled folk-rock. There’s an echo of Yes’ “And You And I” here – particularly in the way acoustic guitars are meshed with synthesizer squiggles – but the lush melody gives it its own personality. Imagine proggy soft-rock and you’re on the right track. It’s also worth ntoing that “Portraits” only takes up five minutes on the album b ut works its way through a variety of moods and textures in that time. It’s the album’s deep-cut classic and deserves to be better known amongst pomp and prog fans. To sum up, Fountains Of Light is a strong and well-crafted album that found Starcastle working towards a more distinct, American identity as a prog/AOR crossover band. As fate would have it, their time as a major label act would be short-lived but this album is good enough to make fans wonder about the future they might have had if they’d been able to crack rock radio.